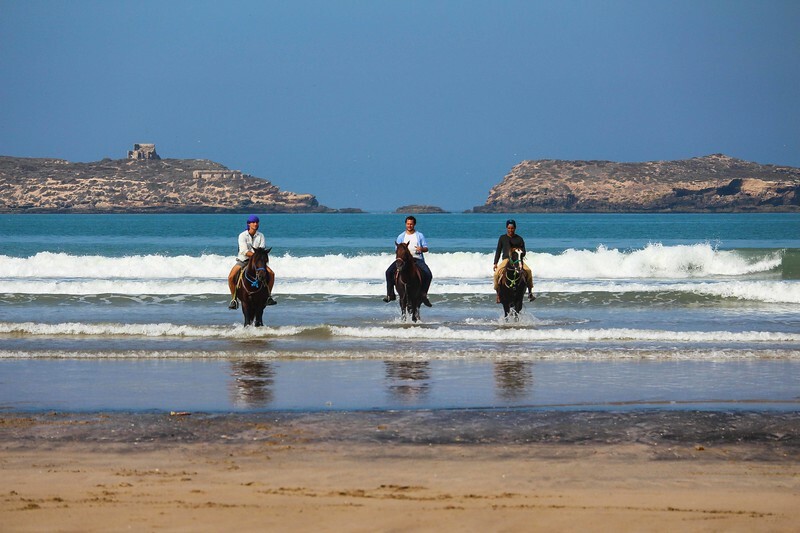 Three handsome horsemen return to shore after playing in the surf on their trusty steeds. I was enchanted by this sight on a Sunday morning in the seaside town of Essaouira. After two and half weeks in the Moroccan interior, Essaouira with its endless beach and ocean air was a most welcome change to the senses.